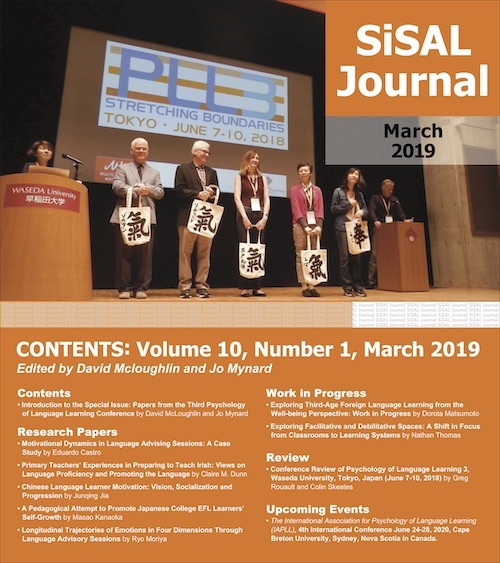 In this article, I will describe how the Self-Access Learning Centre (SALC) at Kanda University of International Studies (KUIS) was established, and discuss some of the personal philosophies of self-access centres (SACs) and self-access learning that I have developed over the eight years of being associated with this centre. The idea for the SALC was born during my first semester teaching at KUIS in 1999. I had become frustrated with conferencing my students, and giving them advice about what they should be doing to improve their English, and not being able to direct them to any particular place where they could go to work on these skills. I was also frustrated by the fact that the English Language Institute (ELI) where I worked had many wonderful resources for learners such as graded readers, videos, and computers, but there was no system for maintaining these. This meant that the graded readers were often irretrievably missing, whilst the videos and the computers were locked away and students had to get special permission to access them. Having experienced a self-access centre for studying Italian at the University of Edinburgh, I felt that this was what was required at KUIS for our students. I had researched some of the self-access centres in Hong Kong, most of which had been established during the early 1990s. Educators involved in the running of those SACs had established a professional organization – The Hong Kong Association of Self-Access Learning and Development (HASALD) – to provide professional support and networking opportunities for its members. However, I knew of no other self-access centres in Japan, and there was certainly no network of professionals working in other centres from whom novices in the field, such as myself, could receive advice. Not to be deterred I purchased a copy of Establishing Self-Access (Gardner & Miller, 1999), read it cover to cover, and then drafted a proposal to establish a self-access centre which was submitted to the university at the beginning of 2000. In November of that year we heard that the initial proposal had been accepted, funding had been allocated, space had been provided and we could start buying the equipment and resources to fill our space. The SALC opened on 1st June 2001 and went from strength to strength. We were frequently full as learners came in to work on their listening or speaking skills, to practice for tests, or to borrow graded readers. The SALC was so frequently full that the university decided to construct a new building in part to house a new SALC. Together with the ELI management, many members of the SALC team were involved in designing the new building, which allowed us to incorporate into the construction some specific features to enhance this space for language learning purposes. We watched the new building grow and moved in at the beginning of the academic year in 2003. As the SALC is concerned with meeting individual needs of learners and working towards offering something close to a personal curriculum, such modules require an intense amount of one-on-one work with learners. Thus, these developments required extra learning advising support. The SALC now boasts a team of ten full-time learning advisors, plus five full-time administrative staff, and approximately thirty part-time student staff. 1. Self-access learning should be truly self-access. Many institutions require students to use their self-access centre as part of a course of study. I believe that self-access learning should be truly self-access, and whilst a certain amount of guidance is necessary for learners to be able to use the centre and understand how it operates, at no other time should they be required to use the facility. In the SALC at KUIS, use of the centre is completely optional. Despite this, in the first semester of 2010 around 500 Freshman students signed up to take the optional First Steps Module. This is just one indicator of how a truly self-access system can successfully foster motivation for learning. 2. Students should have an integral role in the running of the centre. From the very beginning students have had an important role in the development of the SALC. Four KUIS graduates are now full-time administrators, and students continue to play an important role not just in staffing the SALC, but also in selecting and trialling materials and in promoting the centre. A recent innovation in terms of student involvement is that of the SALC Student Committee (SSC), a group set up by students who want to help promote the SALC and pass on students’ ideas to the SALC staff, advisors and administration. 3. Language learning should be fun. If a self-access centre is truly self-access, then learners need to be enticed into the centre, and the most effective way of doing this is to make language learning fun. The SALC is stocked with materials which aim to engage learners in ways which are fun and entertaining. For example, music and movie-based activities, and the genuine interactions in English between students themselves and between learning advisors and students, allow learners to see that effective language learning should be related to everyday activity, rather than something which is confined to classrooms and grammar textbooks. In Japan, where English language classes are traditionally very teacher-centered and grammar-oriented, encouraging learners to understand that language learning can be enjoyable and worthwhile has always been one of the biggest challenges. 4. The learning environment is important. From the very beginnings of the SALC, we aimed to create an environment which did not feel like a typical university classroom or library. Through the combination of the language policy, in which learners are encouraged to use English rather than Japanese for every day communication, and the careful choice of colour schemes, furniture, physical layout, displays, and décor, we succeeded in creating a space which felt “different”. Learners commented that it felt like a “little piece of America” or that it was like a “reverse home-stay”. Through this relaxed ambience we aimed to provide a place where students would choose to hang out and speak English, and be enticed to use the facilities and materials. Lucy Cooker is a PhD research student at the University of Nottingham. She is also an External Consultant for the SALC at Kanda University of International Studies, Japan. Cooker, L., & Torpey, M. (2004) From the Classroom to the Self-access Centre. The Language Teacher 28 (6) 11-16. It will also feature in a forthcoming IATEFL volume edited by C. Everhard, J. Mynard & R.C. Smith.